Everyone is blown away by one little girl’s Halloween costume. 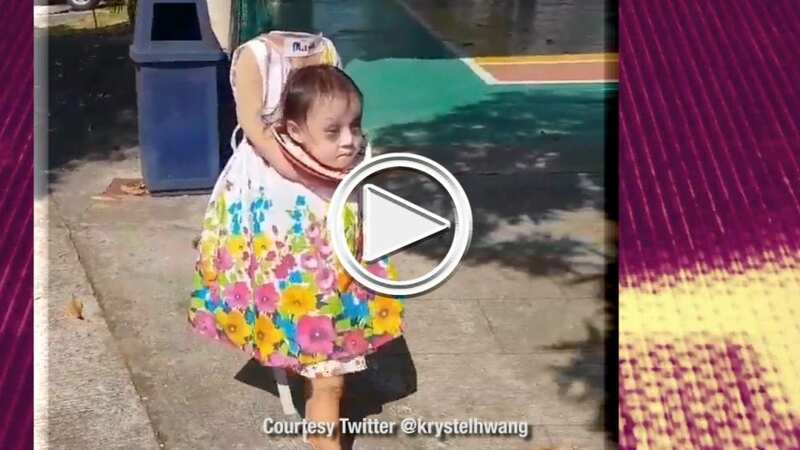 Krystel Hwang (@krystelhwang on Twitter) of Manila City posted a video of her daughter walking around in an amazing costume that she made for her by hand, and that video has quickly gone viral. It takes a minute to figure out how she did it, but once you realize the trick, it’s ingeniously simple. This little girl wins Halloween, hands down – or should we say heads down? She’s adorable, the costume is perfect, and Nazzy and Tara from “The Morning Wakeup” on 98.3 LNH can’t get enough.